Genuine OEM Brother Drum Unit, 20,000 page yield. Brother part number: DR200. 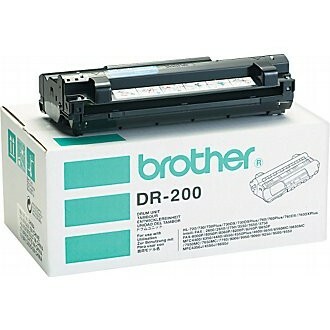 Drum Unit compatible with Brother 2600, 2750, 3550, 3650, 3750, 8050, 8200P, 8250P, 8650, HL-700, HL-720, HL-730, HL-760, MFC-4300, MFC-4350, MFC-4450, MFC-4550, MFC-4600, MFC-4650, MFC-6550, MFC-6650, MFC-7550, MFC-7650, MFC-7750, MFC-9500.